Discussion in 'Show Me the Bling! (Rings,Earrings,Jewelry)' started by Niel, Apr 13, 2019. RosieR, steviedsgirl, Arkteia and 41 others like this. RosieR, OboeGal, steviedsgirl and 25 others like this. RosieR, OboeGal, CRYSTAL24K and 30 others like this. Stunning photos of magnificent jewels! SandyK and Hounddog like this. Man, oh man, I love that collection! 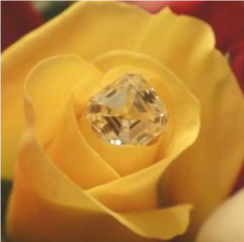 My favorite is your zircon, but the recut on that yellow sapphire is also TDF. Lovely! They're all so pretty. Do you have a favorite @Niel ? Wow, you have a beautiful collection. I love your blue sapphire ring! No idea. Right now it’s the frenchie and three stone combo but I changes enough I can’t say. What a beautiful collection you have! Very pretty Niel! Thanks for sharing in one place!! Beautiful collection and I love all the colored gems. Thank you so much for sharing! I utterly love your small, but expertly chosen collection; SO much better than hoards of random, low quality pieces. And can I just say....SIZE?!? I just love a big ring, and have been facing some hard truths about myself lately, and the pieces I truly enjoy and find eye catching. I truly love all your pieces. Absolutely love them. I mean - the sapphire and diamond 3 stone with the French cut band?? Wow. But I think my favorite is that mammoth, glorious, lemon sapphire, pumped up for presence by a halo, no less! Unreal. Thank you so much for sharing - what a treat! SandyK, Sparkles88 and FlashyFlamingo like this. Thanks for the eye candy. Really spectacular! So do you have a favorite? For me, I am with mrs-b on team yellow sapphire. So what is next on your radar? I can't wait to see. You wanna give me some diamonds I’ll be happy to make studs out of them! bludiva and mrs-b like this. Wow, talk about eye candy, loved perusing your mouth watering colllection of jewelry, absolutely wonderful! Grace is my favorite they are all so gorgeous though. Good heavens @Niel! What an amazing collection. Having seen the zircon in person,it’s still my fave, but I surely wouldn’t kick the others out of bed either! @Niel drooollllllll I love, love, love your stunning collection! You have such an amazing eye for the most gorgeous finds and all of your pieces are absolutely beautiful! Oh wow! What a fabulous collection. I love that Zircon too. Gosh, amazing photos of a truly unique and beautiful collection! @Niel You have amazing, exquisite taste! I read about your budget for rings in another thread and I am stunned. I love how choosy you are with your collection. Beautiful collection, Niel! Your outdoor photos are amazing, too! Very beautiful rings. Can't decide which is my favorite!